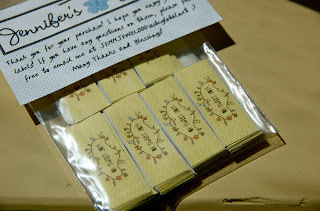 i received my labels in the mail yesterday! jennifer's jewels etsy shop made them for me and did an absolutely awesome job. just look at 'em!! they are obviously going on the dresses, etc. but where should they go on the coffee cuffs? speaking of, i made this guy in honor of my bee sting. it makes me laugh. you can buy it here. 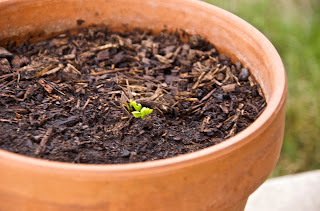 my ranunculus finally sprouted!!! well, one of them anyways. hooray! 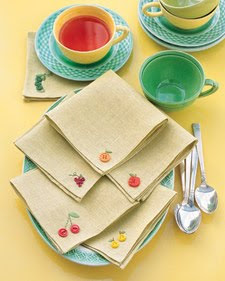 how cute are these napkins from martha stewart? maybe i just like the colors and "staging" in the photo. tutorial here. want a new button for your blog? head on over to the buffalo blog to enter this giveaway!! lisa does incredible work and is so adorable!! stay posted this week for a tutorial that everyone (and by everyone...i mean 5 people) has been asking me for. get pumped! IS THE TUTORIAL A COFFEE CUFF? OHH I hope so! Heheh. first of all, those labels are so, so cute! i will have to check out that shop! second of all, that is AWESOME that you're growing ranunculus! they are one of my favorite flowers, second to peonies. maybe i should grow some! The coffee cuff is so cute! 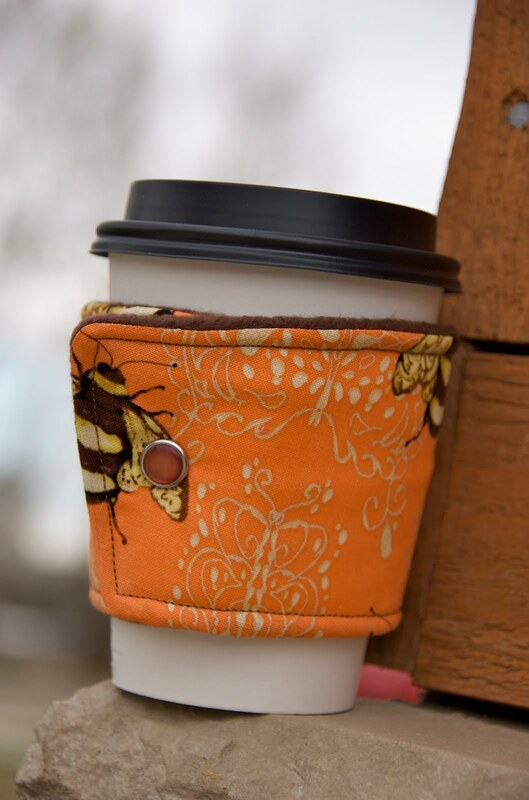 oooo LOVE the bee coffee cuff!! Too cute! maybe on the inside? I don't know but the bee is super cute! Hope your sting is better. Coffee cuff is to die for, I am a person who does not function without coffee! Very cute! Hope your sting is better now too. Heading over to the giveaway now!